It was in August 2018 when the Musically app was rebranded as Tik Tok. While the app is quite easy to use and has tons of added features, it doesn’t allow us to download Tik Tok videos directly. Let’s be honest, we all watch various video on Tik Tok and too often we wish to download video from Tik Tok as well. Thankfully, with the help of a third-party Musically Tik Tok downloader, you can easily do the same. 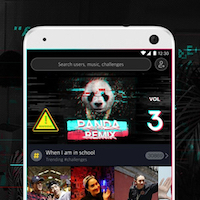 Let’s get to know more about a Tik Tok video downloader right here. Halt your quest for the most reliable Tik Tok downloader right here. With the help of Snaptube, you can download Tik Tok videos online and save them directly on your Android device. Later, you can watch them offline or even transfer them to any other source as well. 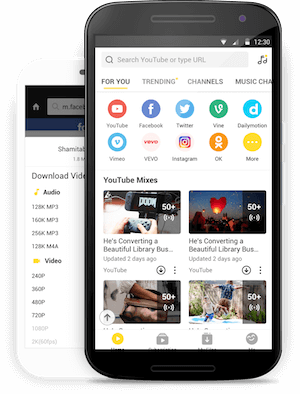 Not just that, Snaptube can also be used to download videos from numerous sources like YouTube, Facebook, Twitter, Instagram, etc. Snaptube provides an extremely simple and direct solution to download video form Tik Tok. It has integrated a huge range of platforms as well from where you can download unlimited content. A user can even add any other platform to the existing list on the interface. All the downloaded Tik Tok videos will be saved on your phone. You can select the best resolution and format of the video before downloading it. It is a freely available and user-friendly app that is compatible with all the leading Android devices. Learning how to download Tik Tok videos from Snaptube is extremely easy and does not require any prior technical experience. Though, before you proceed, just make sure that you are able to download apps from third-party sources on your Android device. Just go to its Settings > Security to enable app installation from unknown sources. Once it is done, you can follow these steps to perform a Tik Tok video download. The best way to download Tik Tok videos is from its own app. This is a more time-saving process and will make things convenient for you. If you don’t have Snaptube on your Android device, then just visit its official website and download the latest APK file. Tap on the downloaded APK file to complete the Snaptube installation. Once it is done, go to your phone’s Settings > App Permissions and grant Snaptube the access to the floating window feature. Great! Now you can just launch the Snaptube app and let it run in the background. Launch the Tik Tok app on your phone and look for your favorite videos that you want to save. You can enter the relevant keywords in the search bar or by visiting the profile of a user. After selecting the video, just visit its more option so that you can copy the video link. The moment you would copy its link, Snaptube’s download icon will be displayed on the screen. Tap on the download button to save the video. If needed, select the resolution and format of the video and let Snaptube download it on your phone. To start with, download Snaptube on your Android phone by visiting its official website. 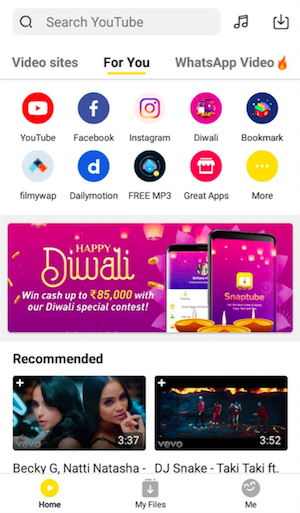 Launch the Tik Tok app and search for any video that you wish to download. After finding the right video, tap on its more options and copy its link. Now, to perform Tik Tok download, launch Snaptube on your device. 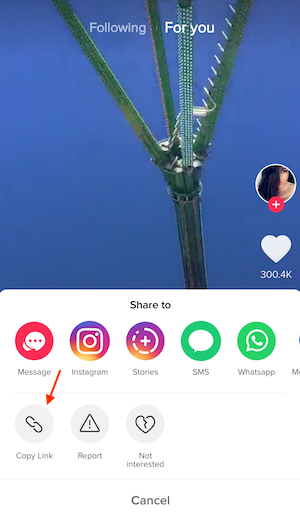 Tap on the search bar and paste the video link that you have just copied. Press enter so that Snaptube will automatically load the video on its own interface. 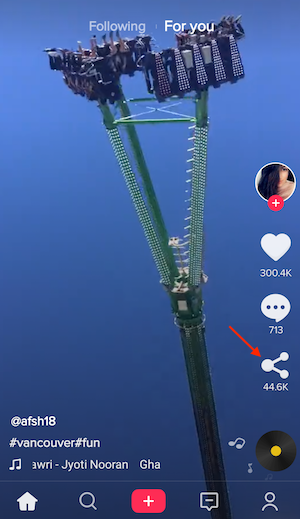 Right below the video player, you can see Snaptube’s download icon. Tap on it to download Tik Tok video that is being played on the screen. Make the needed selections regarding the format and resolution of the video. Wait for a while for the download to be completed. That’s it! By following this simple drill, you can learn how to download videos from Tik Tok. The saved videos will be available in the default video app on your phone. If you want, you can also access it from your library on Snaptube as well. Go ahead and give it a try and feel free to recommend this Musically Tik Tok downloader to your friends as well.